Flamingo is made with veneer wood and high gloss finish. 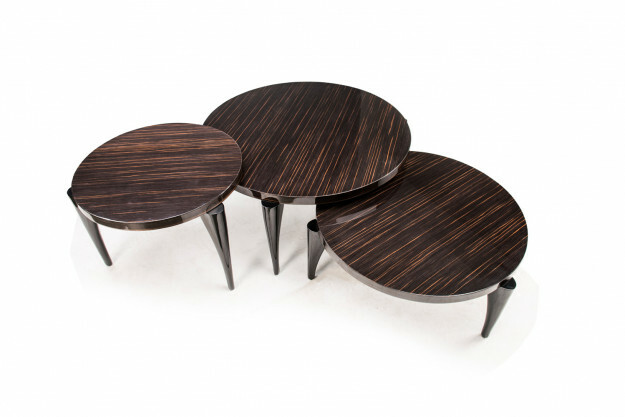 The table gets its amazing shine through lacquered polish and it comes in set of 3. 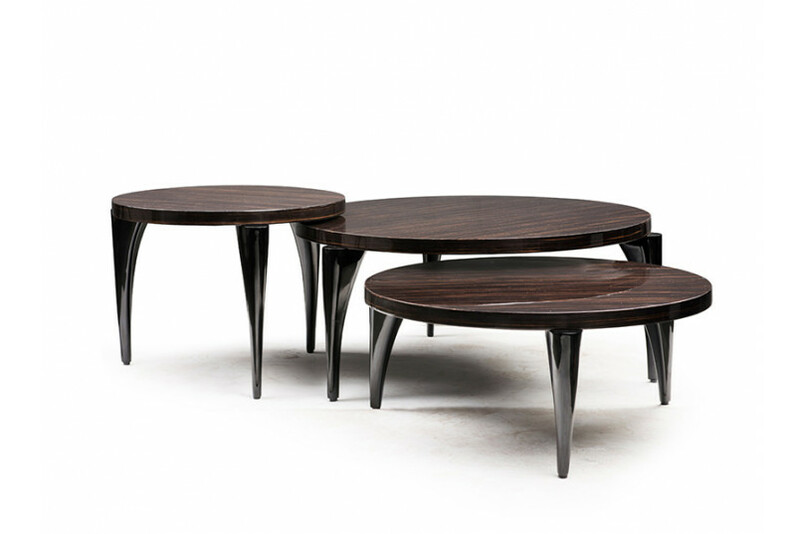 "Flamingo is a timeless piece which comes in a set of 3 tables. Refined and elegant, this wooden table can either be dressed up but it is still stylish enough to be used on its own in a relaxed setting."